HARTFORD, Conn. — Veterans who say they responded to a 1966 accident involving U.S. hydrogen bombs in Spain and then became ill from radiation exposure asked a federal appeals court on Monday to allow a class action lawsuit against the U.S. Department of Veterans Affairs. The motion names Veterans Affairs Secretary David Shulkin as the defendant. The VA said Monday it hadn’t seen the filing and couldn’t address it. 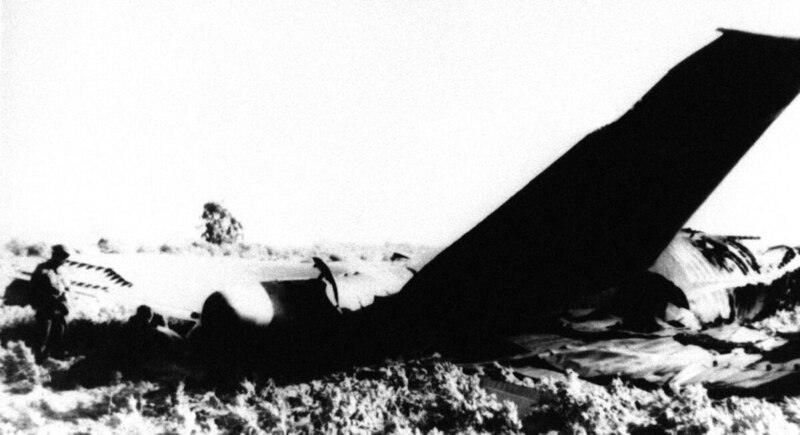 On Jan. 17, 1966, a U.S. B-52 bomber and a refueling plane crashed into each other during a refueling operation near the southern Spanish village of Palomares, killing seven of 11 crew members but no one on the ground. At the time, the U.S. was keeping nuclear-armed warplanes in the air near the Soviet border as the Cold War was in full swing. Skaar, the Air Force veteran, said he suffers from a blood disorder and developed melanoma and prostate cancer, which were successfully treated. He said he believes his ailments were related to his service in Palomares. Skaar, 81, said he and other military members responded quickly to the Palomares accident and did not wear protective clothing or masks as they determined the scope of the contamination and “cleaned” it up. The cleanup involved removing topsoil in some areas and hosing down buildings with water. The Yale students said they believe this is the first federal appeals court case involving Palomares veterans. The Court of Appeals for Veterans Claims, which hears appeals of VA denials of benefits, only recently was given authority to hear class action cases, they said. The law school students also sued the Department of Defense in October on behalf of veterans groups seeking to compel it to release records relating to the Palomares accident, including environmental testing data and urine testing results. A department spokesman said he could not comment on pending litigation. The Yale students said original testing showed that many Palomares veterans were exposed to dangerously high levels of radiation, but a 2001 report commissioned by the VA concluded those results were “unreasonably high.” And in 2013, VA officials used the 2001 report to conclude the veterans’ exposure to radiation wasn’t high enough to qualify them for free VA medical care and other benefits. The students said the report and the 2013 conclusion are flawed. U.S. Sen. Richard Blumenthal, D-Connecticut, said the VA needs to take another look at the veterans’ claims.